EARLY BIRD & COMP JERSEY REGISTRATION DEADLINE MARCH 1st at 11:59pm. VOLUNTEERS NEEDED! The youth program depends on its volunteers for its success. 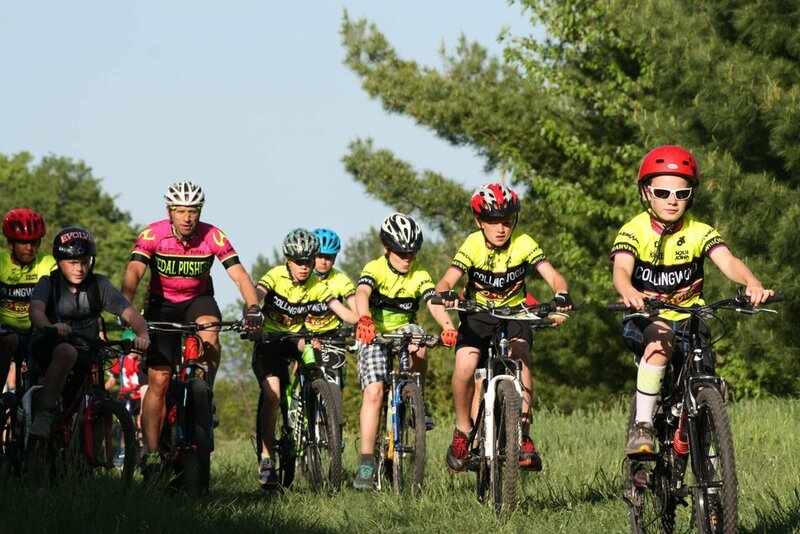 This is a great opportunity to ride the Highlands trail network ( CCC, C.O.R.C membership an OCA citizen permit mandatory to ride trail system) and be part of a great community of kids and parents. Please contact Noelle Wansbrough if you are interested in riding with us Monday nights. WHEN: Mondays starting May 13th to June 24th from 6 to 7:30 pm. NOTE: program may be delayed depending on spring trail conditions. Trail maintenance day (mandatory) is Saturday April 20th (2PM) at Highlands Nordic. WHAT: The goal of the CCC youth program is to inspire youth to develop a passion in cycling and create a future generation of avid CCC cyclists. The focus of the program is safety, fun and mountain bike skill development, in that order. The focus is to have fun in a safe controlled environment with the focus is on skill development and endurance. The youth will have opportunity to participate in a variety of fun team relay events, weekly race series (Hardwood Hills, Albion Hills) and some Ontario Cup events. The program is led by NCCP certified coach Noelle Wansbrough (pedal-pushers cycling) and a variety of coaches and volunteers with years of racing experience. Participants in the program must be able to ride at a level where they understand gear selection, general bike handling skills and are comfortable climbing hills and riding singletrack trails. If you are concerned whether or not your child is ready for our program please email your inquiry to nwansbrough@rogers.com. Note that where there is significant demand we will try to add coaches and/or more volunteers to the program to create more space, but is not guaranteed. Skills & drills are the foundation of our program. In a safe environment we will focus on developing ability in balance, cornering, front wheel lifts and a a variety of other components for navigating off road features. Following the LTAD model of athlete development-Learning to Train and Learing to Race. Participants will be required to participate in a trail maintenance day at the beginning of the season. This is a great team bonding experience and allows the kids to learn trail maintenance skills while exploring the terrain they will be riding on. All children are required to to be CCC members to take part in the program. CCC youth membership is FREE ($65 value) . Participants are required to purchase a OCA citizen ($35.00) license as part of the registration process. All riders must be C3 members and have an OCA citizen permit and waiver signed prior to riding. Parent volunteers must be C3 or CORC (Collingwood Off Road Association) members or have an OCA citizen permit to ride Monday nights.